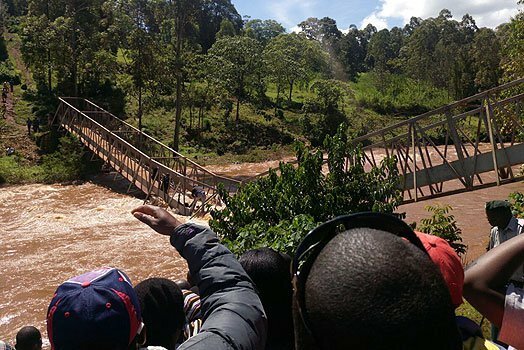 Machakos Governor Alfred Mutua and Kisii Deputy Governor Joash Maangi were almost washed away by floods in Kisii County while touring Ogembo area. Mutua and other county officials fell into the water but were rescued before drowning. According to different sources the governor and the officials were taking selfies when the bridge collapsed. 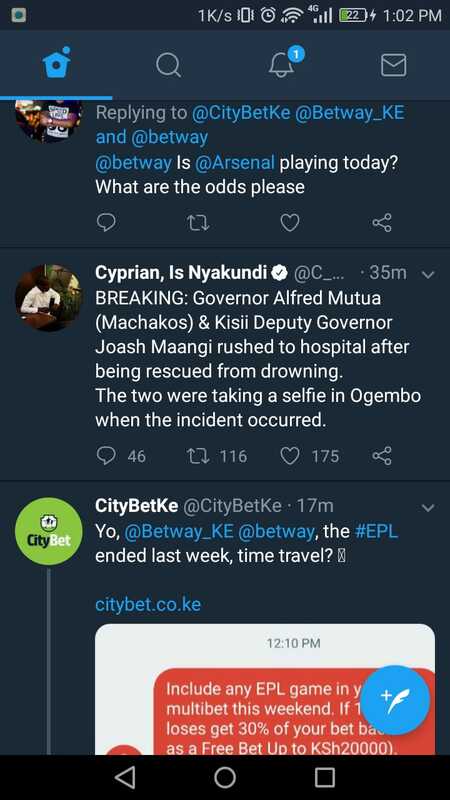 Mutua was not injured in the accident but a KTN journalist and some county officials were rushed to hospital with minor injuries. The bridge, which was constructed by local Constituency Development Funds (CDF) to help villagers in Nyabisiongororo, collapsed due to excess weight from the county officials.